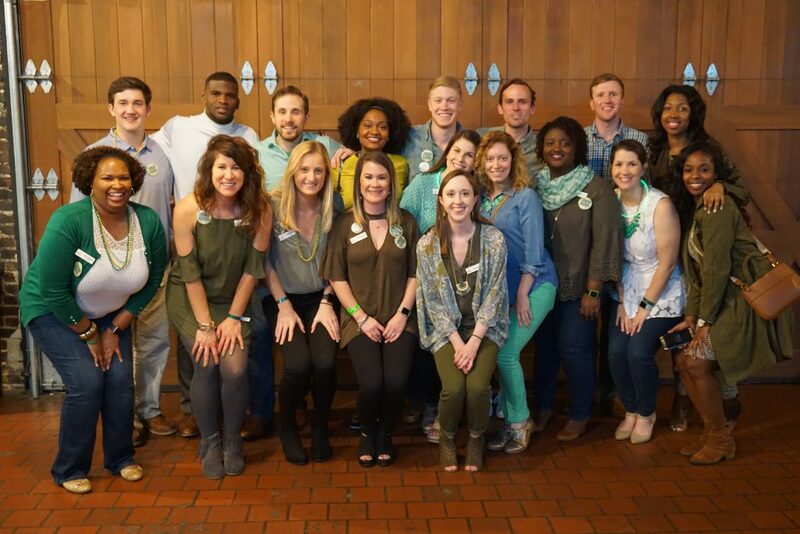 Ashton Sartin, Mercedes Benz U.S. International, Inc.
Our Junior Board is still relatively new, and we are working hard to grow, expand, and increase our impact on the lives of the people served by The Arc. We’re a small group of young professionals committed to making a difference in the lives of an often overlooked and under-served population. Our main goal is fundraising through a signature event, The Shamrock Shindig, but we love to get hands-on and involved in mission activities as well. While most people served by The Arc do not have family members or other caretakers in their lives, they are blessed to be supported by generous and caring people from the community like you. Use our donation form to pay your dues online. Make sure to select “Junior Board Dues” from the Donation Category dropdown menu. Acceptance of new members will occur each calendar year. Applications are received on a rolling basis and will be held until voting occurs, but must be completed by July 29th to be considered for the following Junior Board year (September-May). Please submit a letter of recommendation from someone other than a friend or family member to: Mary Frances Colley 6001 Crestwood Blvd. Birmingham, AL 35212.